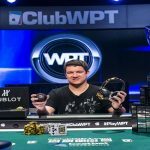 Darren Elias has won his third world poker tour title at Season XV World Poker Tour Fallsview Poker Classic C$5,000 Main Event. Ema Zajmovic was the first female poker player to win a WPT title with an open-entry game last week. Both the players have created history by winning one of the most prestigious poker event of world poker tour. Elias now becomes only fifth player who has won three or more titles. Before him players known as Gus Hansen, Carlos Mortensen, Anthony Zinno, and Chino Rheem have done the job. 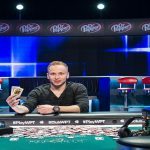 Darren Elias pocketed the first prize of amount C$449,484 or $335,436 and an entry to WPT tournament of champions, while runner-up David Eldridge ecieved an amount of C$300,982 ($224,613) from the tournament. Meanwhile third position of this particular match belongs to player named Jean-Christophe Ferreira, who pocketed C$193,583 ($144,465) from the title. 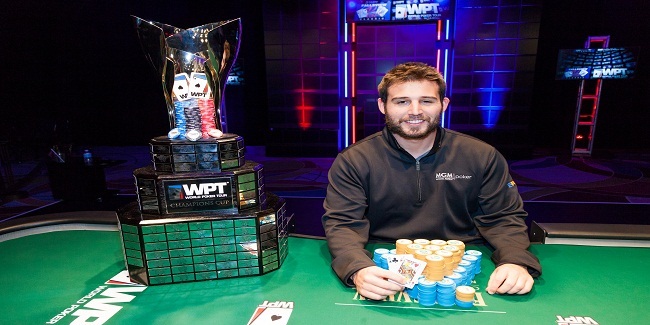 Elias seemed to be a happy guy after winning third world poker tour title to his name. He said that “it was a good tournament’, I was lucky to crack the field. It was a great day for me to be here and to win the title against top poker players, he added. Total 22 players remained in the business on day 3 of the game, when Anthony Dalpra eliminated to 22nd place, while David Cloutier busted to 21st place. Two players known as Jonathan Jessop and Mark Zajdner were eliminated to first hour of play. Most of the players got eliminated in over three hours of play. The final table included players like Abdull Hassan, Manig Loeser all Canadian , Andrew Chen and Jean-Christophe.